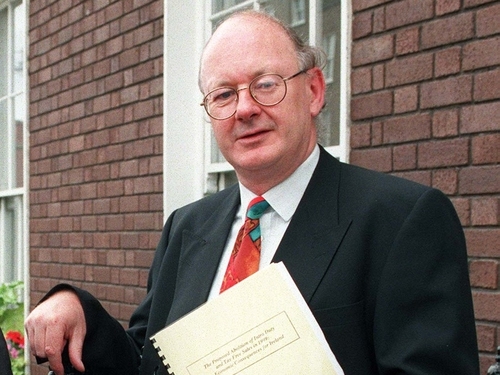 Paul Tansey, Economics Editor of The Irish Times, has died at the age of 59. Mr Tansey was a former Deputy Editor of the Sunday Tribune and an Assistant Editor of The Irish Times. He was playing tennis yesterday at the Enniskerry home of his long-time friend, Senator Shane Ross, when he collapsed. He was taken to hospital by ambulance, but was pronounced dead soon after arrival. He is survived by his wife, broadcaster and writer Olivia O'Leary, and their daughter Emily. Speaking on RTÉ Radio's Morning Ireland, TCD economist Sean Barrett called Mr Tansey a 'dedicated writer' who 'stayed around until 1am' to make sure the newspaper was printed properly. Mr Barrett also said he was a voracious reader - 'everything from Karl Marx to Milton Friedman'. 'Alas, we won't have the benefits of that wisdom' during the coverage of current global economic turmoil, Mr Barrett added.